December 10th in the Manchester Arena see’s heavyweight fan favourite Anthony Joshua (defending) take on American Eric Molina for the IBF World Heavyweight Title. It will be Joshua’s third outing since stopping fellow British heavyweight Dillan Whyte in December of last year. Joshua has won all 17 of his fights in the paid ranks by KO/TKO and let’s face it, 34 year old Molina has little or no chance of beating the gold medal winning Olympian. Joshua even hinted that “if I can go and make him look like a kid, I’m going to play with him, then feed him to the lions”, which doesn’t make for great reading if you’ve forked out €25 to watch the fight live on PPV. There’s not much to say about the main event. Joshua to win early by KO, simples. The fight we all want to see is Klitschko V Joshua and maybe to a lesser extent Haye V Joshua. Until Matchroom start making fights to challenge Joshua, the result will be the same, Joshua by KO every single time. However, there are a few interesting fights on the undercard which just might be worth the price of admission. This one doesn’t so much make for an interesting fight, what is interesting however, is the fact that Conor “The Destroyer” Benn is the son of legendary British fighter and 2 weight World Champion Nigel “The Dark Destroyer” Benn (we see what you’ve done there Conor). Benn Sr. was best known for his menacing power and his aggressive come forward style. Nigel Benn retired with a record of 45 wins, 5 losses and 1 draw, with 35 KOs to his name. He finally hung up the gloves in 1996 after 3 straight defeats, 2 of which came at the hands of The Celtic Warrior himself Steve Collins. Manchester native Steven Backhouse, fighting in his own backyard so to speak, will need all the help he can get. 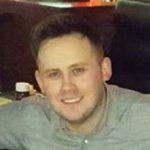 Aged 26 with a professional record of 1 win (KO), 4 losses and 1 draw, with 1 of those losses coming by KO really, has his work cut out to get his career back on track. 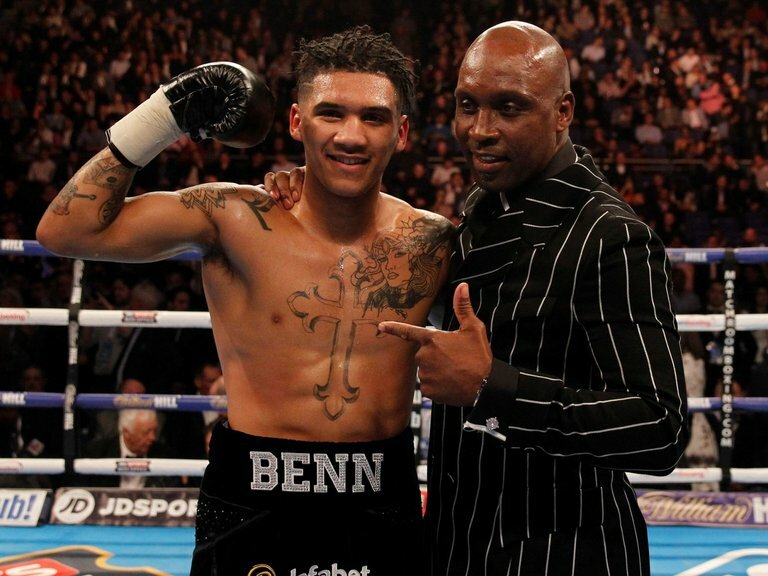 It’s early days for Benn having only made his debut in April of this year, but The Destroyer could be showing signs that he may be endowed with the same power that catapulted his father to the very top of the game. This should be an easy night for Benn and will be over early. This will be Hosea “The Hammer” Burton’s first title defence since winning the Light-Heavyweight strap in February. Burton, whom is undefeated in 18, has been keeping himself busy despite a number of opponents pulling out at short notice due to injury with this being his 4th contest this year. 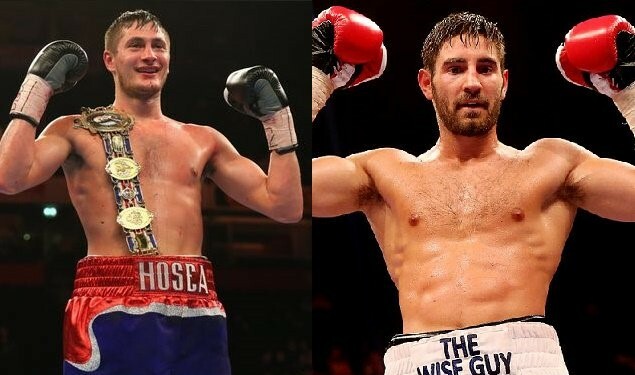 Burton was previously scheduled to fight Frank “The Wise Guy” Buglioni on September 24th, but the Londoner pulled out with 4 weeks’ notice due to a cut over the eye sustained in training camp. Burton is chomping at the bit to defend his title for the first time and has said that he will “make Buglioni pay” for keeping him waiting. “The Wise Guy” may have some special interest to Irish boxing fans having boxed out of Blanchardstown’s famous Celtic Warrior Gym under the guidance of coach Paschal Collins. Buglioni enjoyed some success under Collins but ultimately after losing a WBA World Super-Middleweight Title shot against the no.8 ranked Russian Fedor Chudinov, coupled with the cost of living in Dublin, Buglioni has set up camp back in his home town of London with new coach Don Charles after 1 last Celtic Warrior win in March. The London native has stepped up a division for this Saturday’s British title shot, and it will be interesting to see how he performs at the heavier weight with a new coach. Burton is naturally the bigger man and is defending champion with a perfect professional record, so it may take something special for “The Wise Guy” to pick up the W here. Saturday night will be Scott Quigg’s first bout since suffering a decision loss to Carl Frampton back in February this year. Indeed, it seemed that Quigg may have had the key to beating the Belfast man in the early rounds, but that was before suffering a broken jaw in the 4th round at the formidable hands of ’the Jackal’. Quigg, from Bury, showed tremendous heart and incredible durability to last the distance, eventually losing on points. 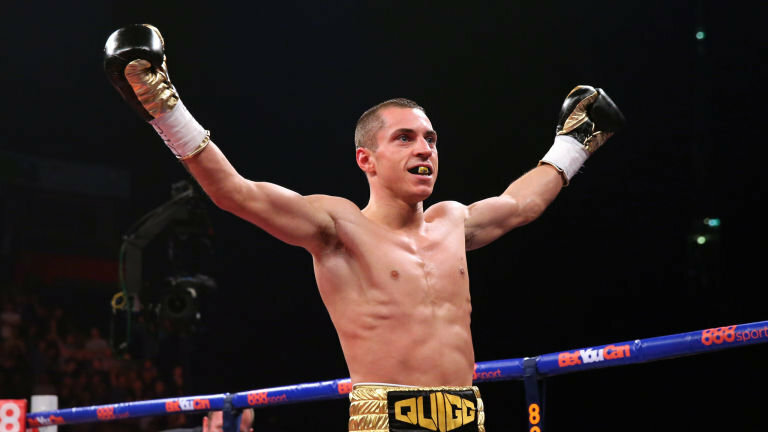 It is worth noting that Quigg will be stepping up a division after this fight as he pursues a rematch with the WBA Super-Featherweight Champion Carl Frampton and a possible shot at the IBF Featherweight champion Lee Selby. Both are big money fights for Quigg, but let’s not put the cart before the horse here, Quigg will first have to dispatch the little known Mexican Jose “El Tigre” Cayetano. Cayetano has previously gone the distance with the very talented Leo Santa Cruz on the Mayweather-Pacquiao undercard, displaying an eagerness to engage and a fortitude that frustrated Cruz. Ultimately the fight ended with Santa Cruz winning all 10 rounds on all judges’ score cards. “El Tigre” is a finesse fighter, relying on his boxing to get him to the end of a contest but does not carry the power or the skill to trouble Quigg, with Quigg being the superior fighter in all aspects. Boxingnews24.com are even calling this bout “a nice little mismatch” in Quigg’s favour. Quigg may need “a nice little mismatch” after ballooning up by 3 stone after the Frampton fight. This should be a handy night for Quigg, but he will need to step up the calibre of opponent if he is to get in the ring with the like of “The Jackal” or “The Welsh Mayweather” in the near future. Chisora removed his sunglasses before chucking a table towards Whyte’s team and the pair had to be separated by security again. “Del Boy” has been fined heavily by the BBBoC for the incident, with Chisora claiming to have already paid the £30,000 fine. 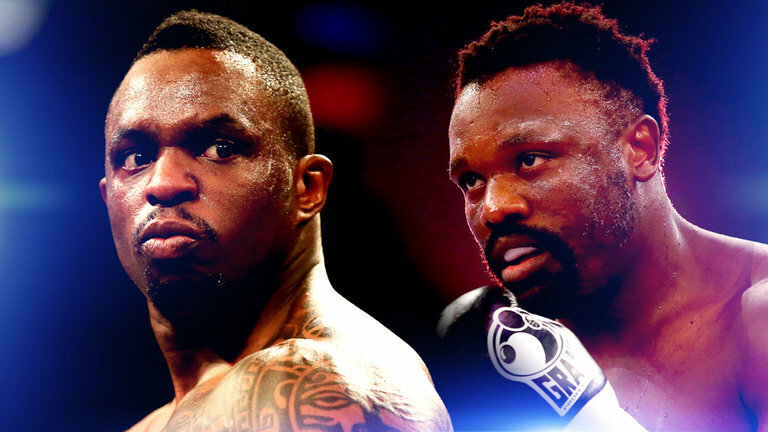 Both men weighed in separately for the fight this Friday to prevent further clashes prior to the fight. This, for me, is the unofficial main event. Katie Taylor is a pioneer for women’s boxing and was a major driving force behind getting women’s boxing to the Olympics, first featuring at the London Games in 2012 and most recently the Rio Games 2016. The Bray native is hoping to trail blaze for women’s boxing once again, but this time in the paid ranks. Yes, there have been women boxers before Katie, but none carry with them the amateur record that Katie Taylor does. In fact, there are very few boxers period, male or female, that were as successful as Katie was in her amateur career. Taylor has won EVERYTHING as an amateur. Multiple domestic, European and World titles; not to mention an Olympic Gold medal from the London games. Had it not been for some dodgy judges’ scorecards in Rio, we may well be looking at a double Olympic Gold medallist. The heartbreak of the Rio Olympics may well be the reason Katie decided to try her hands at the paid ranks, and women’s professional boxing is the better for it. 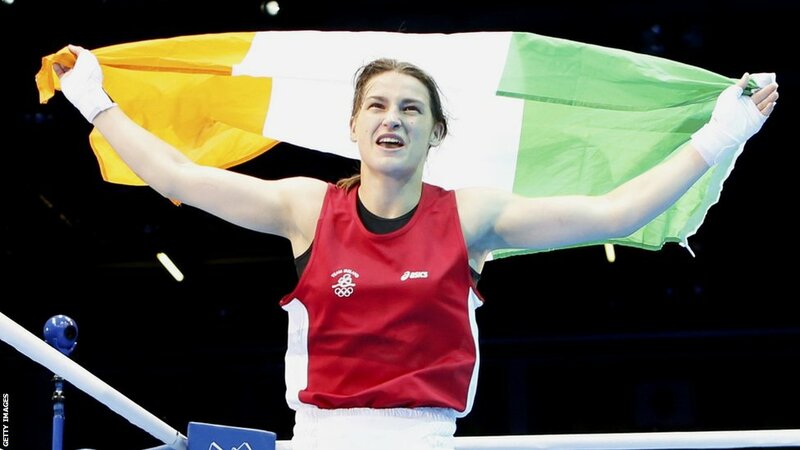 Eddie Hearn has been trying to sign Taylor to Matchroom for some time now, and with this bout being Katie’s second in as many weeks, there already seems to be a lot of excitement and hype building around the greatest Irish sports person to have ever lived. Two weeks ago, Katie made her professional debut at the Wembley arena against Karina Kopinska, a polish opponent with a record of 7 wins (2 KOs), 15 losses (2 Kos) and 3 draws. Despite her opponent’s experience in the paid ranks, Taylor was favourite with the bookies. After a masterful display, showcasing her speed, power and accuracy, the referee stepped into call it a day for Kopinska in the third round. This Saturday night, Katie takes on Brazilian Viviane Obenauf who fights out of Switzerland. Obenauf is a clear step up in class from Kopinska with a record of 9 wins, 4 by way of knock out, and only a single defeat. Again, despite Obenauf’s experience in the professional ranks, Katie is a 1/200 favourite with the odds makers, whereas the Brazilian is 25/1 to beat Taylor. It is worth noting that Obenauf beat Kopinska by unanimous decision back in October. It is unclear whether Katie’s fight will be broadcast live during the PPV, but for me this is the one I want to see, and hopefully we can get some big-time boxing back to Dublin. Irish sports fans are renowned the world over, it’s time we get to enjoy home advantage and create a truly intimidating atmosphere for any opponent. As a great man once said, “When one of us goes to war, we all go to war”. 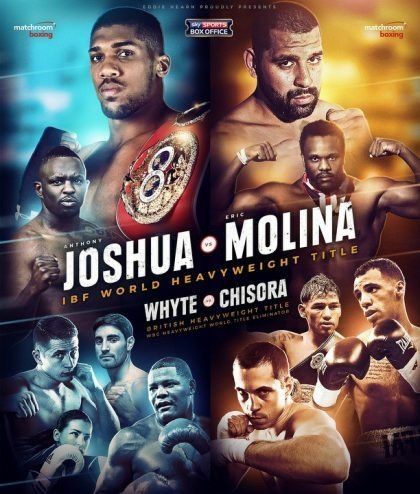 Catch Joshua V Molina PPV from 5:30pm on Sky Box Office, Saturday 10th December. Family man with a passion for Football, MMA and Boxing. If you have an argument, I’ll more than likely have a counter one.